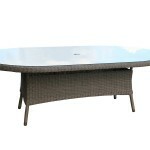 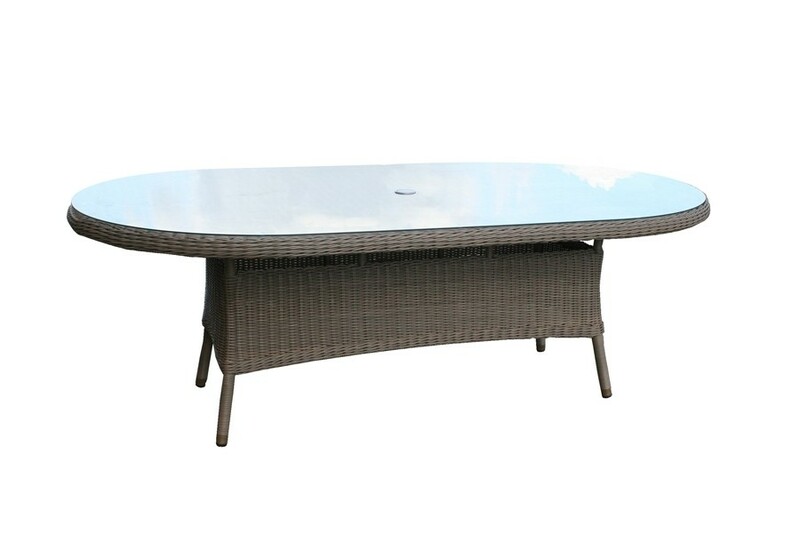 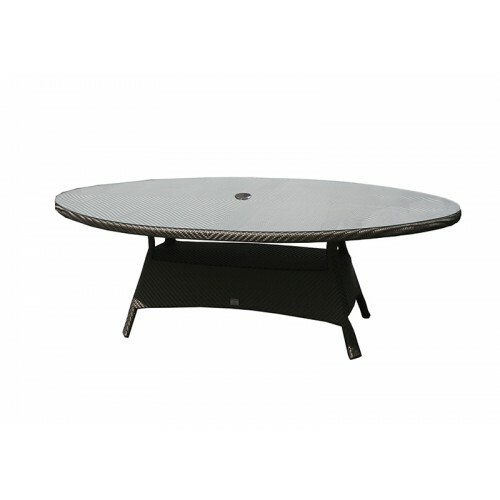 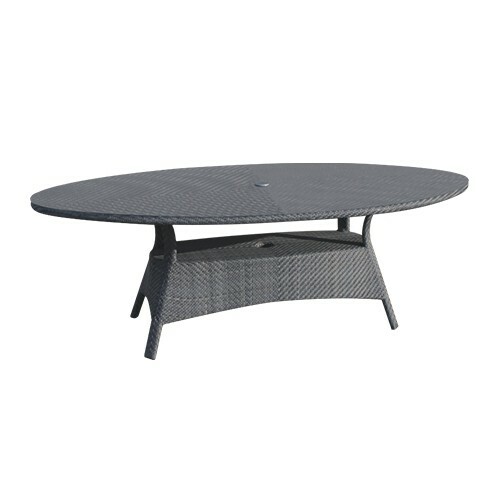 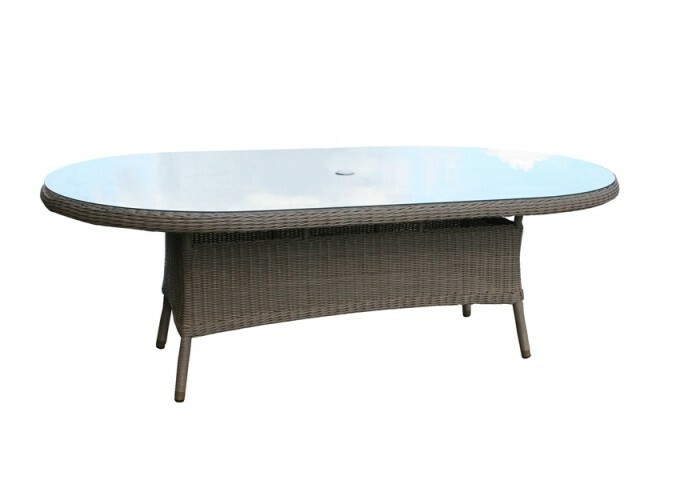 The 230cm Bali oval dining table is a really attractive outdoor table that is big enough for families, yet compact enough to fit on most patios. 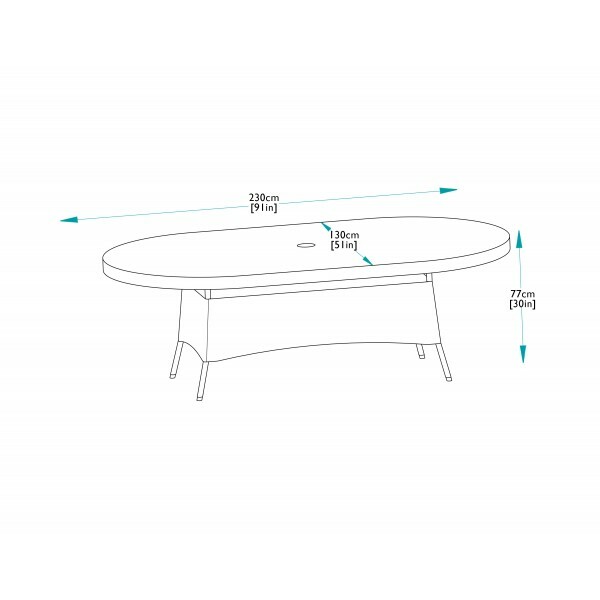 The table comes complete with safety glass, and is suitable to seat up to eight people with either Brighton dining armchairs or up to ten people with a combination of Ohio dining armchairs and/or dining chairs. 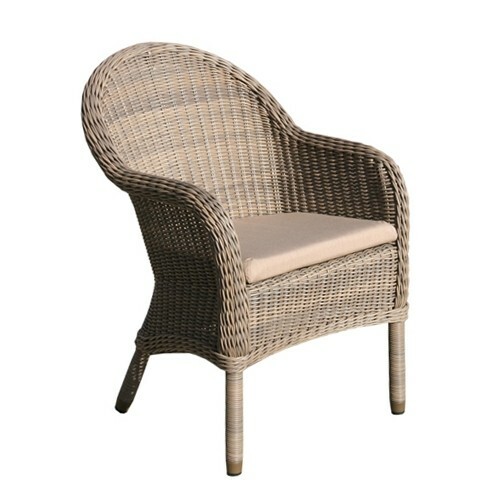 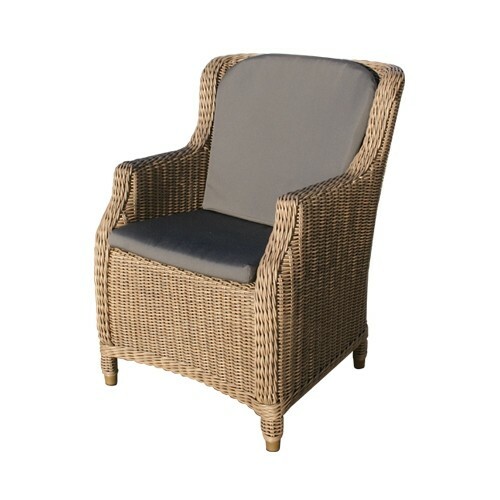 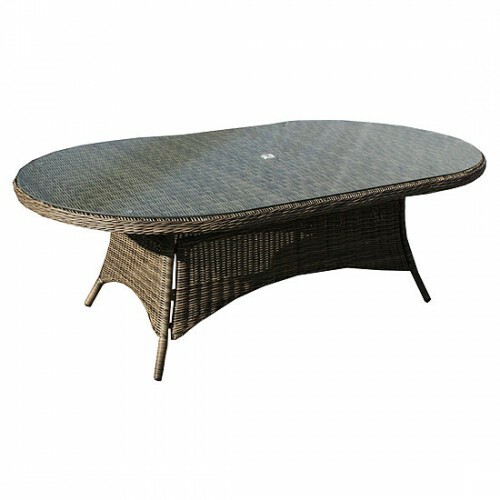 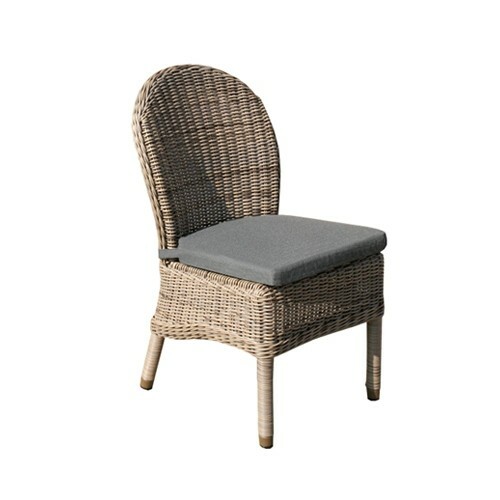 This beautiful piece of hand woven garden furniture is made from a synthetic rattan and is ideal for outdoor and conservatory use. 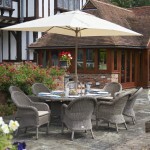 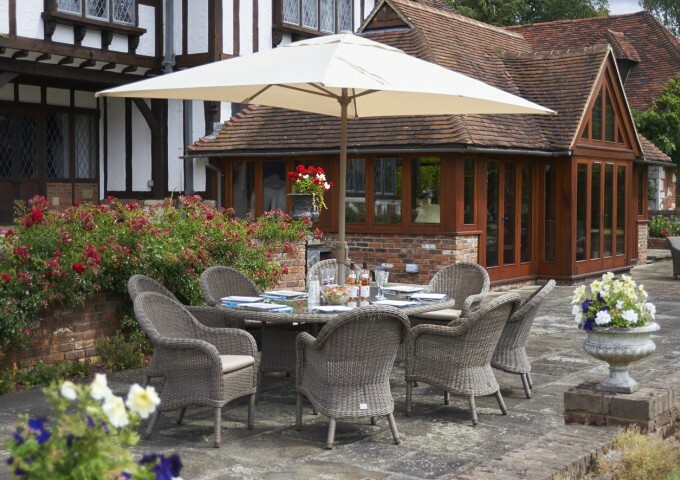 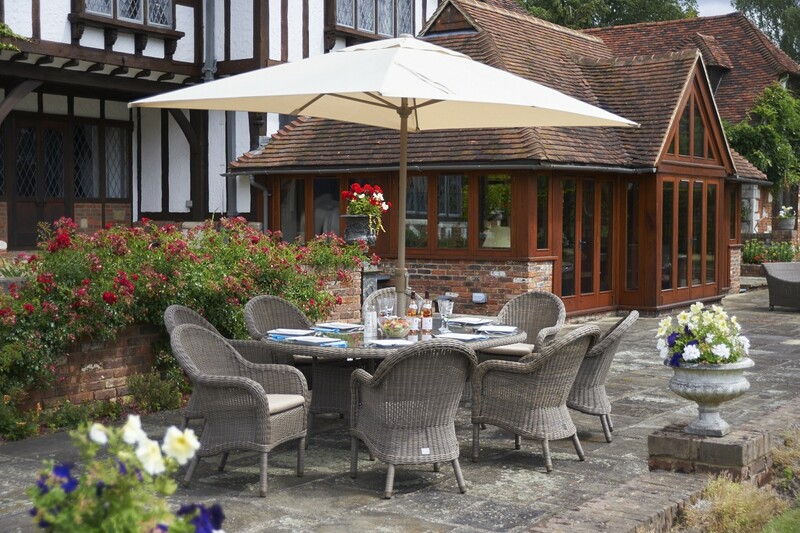 "simply the best on the market for construction appearance and 10 year warranty which for outdoor furniture is essential."